Being the coach of the Indian men’s hockey team has always been tumultuous - coaches are changed often, and Singh himself was appointed only in May of 2018. Harendra had led the junior team to a World Cup win, which resulted in him being handed charge of the senior team after India's medal-less showing at the Gold Coast Commonwealth Games. But he was unable to change the team's fortunes. India, who were the defending champions at the 2018 Asian Games finished with only a bronze and also lost in the quarterfinals in the World Cup in Bhubaneswar. Meanwhile, the team will be overseen by Performance Director David John and Analytical Coach Chris Ciriello. 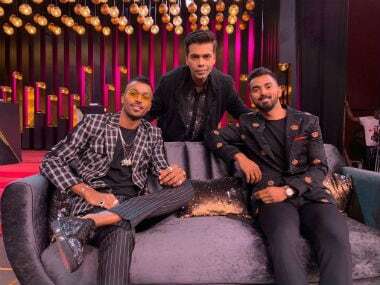 KL Rahul has neither responded to the show cause notice nor reacted to the massive criticism the two cricketers have received. Sharath, ranked 30th in the world, played a grueling final against world no 31 Sathiyan, eventually prevailing 4-3. It was Sathiyan’s third national final. Befitting of a final between the two friends, the score line read 11-13, 11-5, 11-6, 5-11, 10-12, 11-6, 14-12 in favor of Sharath. Sathiyan won the first, fourth and sixth games, making more than one come back in an epic match but Sharath managed to win in the extended final game after three match points. Jamil was appointed coach after the sacking of former coach Shankarlal Chakraborty following Mohun Bagan’s humiliating loss to debutantes Real Kashmir in their last match. Jamil made five changes to the side that lost to Kashmir. He brought in Dipanda Dicka over Henry Kisekka, and included Azharuddin Mallick, Darren Caldeira, Gurjinder Kumar and Dalraj Singh in the starting line-up. 32-year-old Aman picked up seven wickets in the second innings as Bihar defeated Manipur by three wickets. He has had an astounding season, picking up 68 wickets at a stunning average of 6.48.